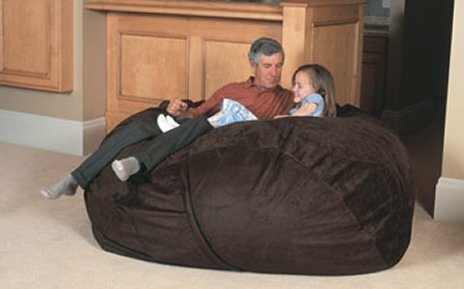 Goliath 6': The Goliath ShaggyBag is unlike any other foam bean bag chair in the world. 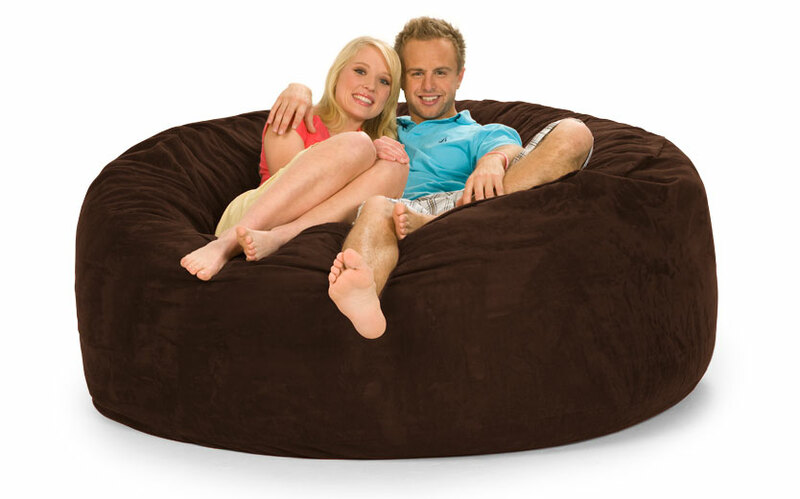 This giant bean bag is the ultimate in comfort and quality. 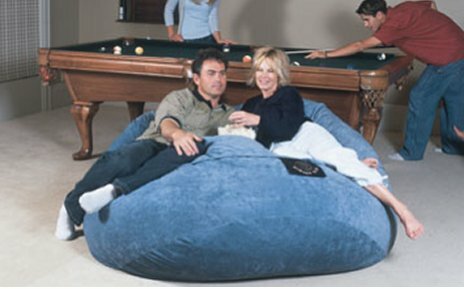 Bean bag chairs of this size provide a relaxing experience second to none, and they will quickly become the most coveted seat in the house. 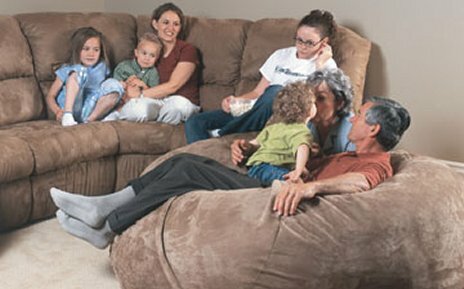 At 6 feet in diameter, the Goliath will seat up to 3 adults or 5 little kids (you could stack more on if you wanted). Not only is the Goliath the most luxuriously comfy piece of furniture you'll ever own, it's likely to provide several nights' rest as a bed for whoever decides to crash on it long-term. 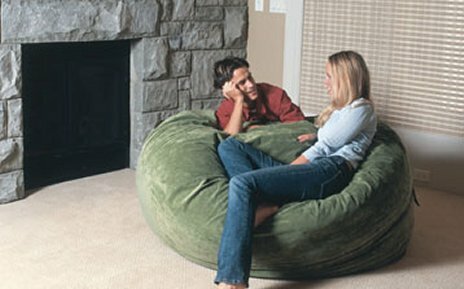 It is perfect for home theater seating, college seating, dorm room seating, living room seating, or anywhere else you can imagine. 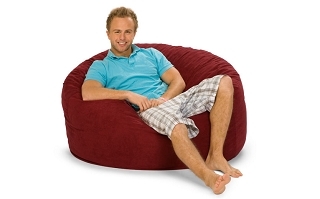 While this large bean bag style foam bag can provide countless hours of near weightless relaxation, it also serves as a VERY stylish foam furniture piece. Prop it up in the corner, spread it out in the middle, or tuck it away in the other room, your Goliath ShaggyBag will ALWAYS be a thing of beauty. Comfy, Comfy, Comfy, Shaggy Bag is perfect for any dorm. I can take it down the hall or out into the commons to play some video games or watch a movie. This ensures me to have the best seat in the room. Wouldn''t have been the same without my Goliath ShaggyBag, speaking of my freshman year in college. I can''t even begin to count the number of nights I spent sleeping on the bag. Probably slept on the bag more than my bed. Insanely comfortable, soft and just down right AWESOME. LOVE the BAG!!!! I love my shaggy bag. It is great to sit down and unwind from a hard days at work. I also enjoy watching a movie or a football game, while reclining in a comfortable position. My Shaggy Bag has been a great addition to my furniture collection. With a family of 7 seating is limited. Our goliath bag is always the first seat taken when we gather around to watch a movie. The cover is machine washable. A mothers dream. Now only if I could unzip the couch cover and wash it. 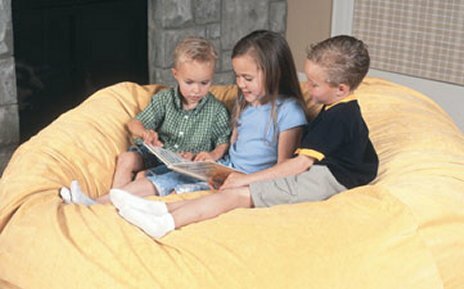 We bought ShaggyBags for our grandkids a couple years ago, and the kids love them. Some of the kids have taken them with them to college when they''ve moved away. We couldn''t be happier with our purchase. This is my favorite piece of furniture in my house. It is so comfortable. It is almost as big as my couch. Jerry and I can both sit on it at the same time and be comfortable. Bella loves it also. So in my house it is becoming a fight as to who is going to get on it. When my dad comes to visit you will find him on the Shaggy bag a sleep most of the time. We love our Shaggy Bag!! !